Last Sunday I ran the first half of the Blue Sky Marathon route to refamiliarize myself with the trails, gauge my fitness, and try out some new gear. I don't yet feel completely acclimated to living at 5000 feet. The first mile of Towers Trail (cutting across the image above) at Horsetooth Mountain Park has an average grade of 12% and I had to fast walk much of it to keep my heart rate down. At the top the trail is more gentle and rolling and I had no difficulties. 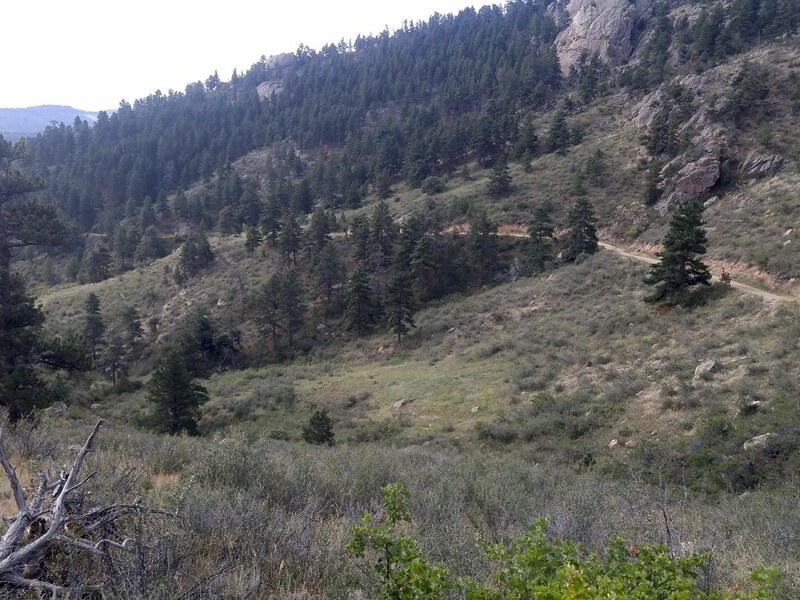 The Tower Trail is a 4WD road, but 90% the race route is singletrack. Rose-colored granite rock and dirt on the heights and brick red sandstone rock and dirt below. I enjoyed trading my large Camelback pack for a smaller and lighter vest. The marathon has 7 stations and I'm certain that I can get along with less than a liter of water between them. My new shorts with builtin boxer briefs are perfectly comfortable. I tried on a pair of Salomon Speedcross 4 shoes at the store to see what the hype was about but didn't buy them. I liked the fit, but I don't think I'm going to be running any local races that are steep enough or sloppy enough to warrant that kind of traction. They'd be great for French style trails, no doubt about it. My NB Leadville shoes are a good match for the relatively tame Blue Sky and Horsetooth trails. The drive to the trailhead reminded me of some similarities between Fort Collins and Montpellier. Each city is between plain and mountains. 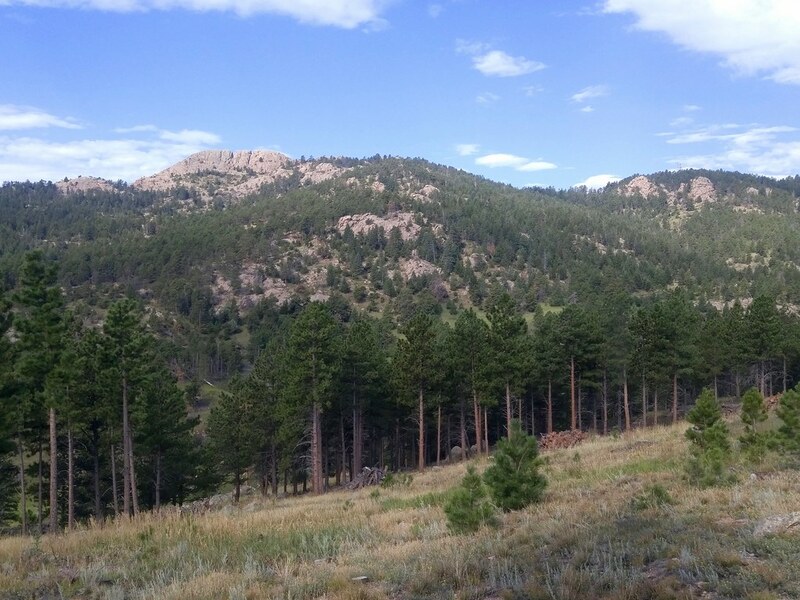 Fort Collins is located where The Great Plain of North America meets the Rocky Mountains and Montpellier is between the Languedoc coastal plain and the Massif Central. Each city has its own local peak: Horsetooth Rock above in Fort Collins and the Pic Saint-Loup at Montpellier. I'd love to host folks from Montpellier here and ask if they have any of the same impressions.